If your baby is starting to take a few steps, it's time. Many parents prefer to let their children walk without shoes, which is fine. A good amount of barefoot time can be helpful to new walkers, who need to figure out how their feet work before having shoes on all day. 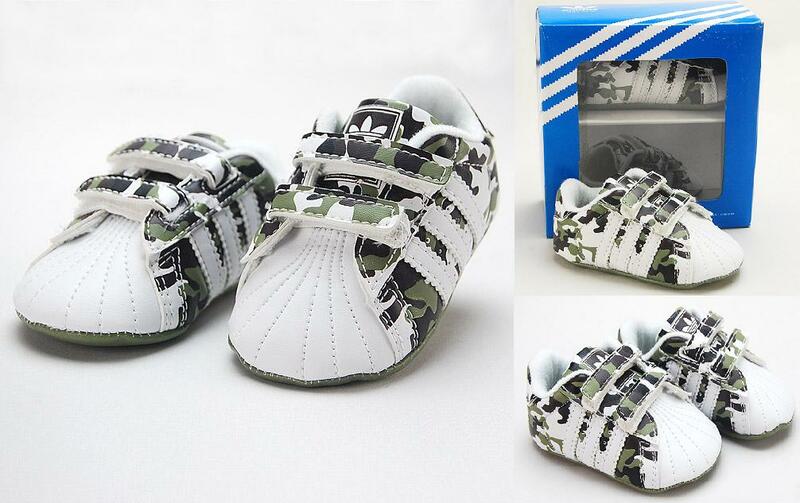 There are times, though, when it's dangerous or just plain gross for baby to go barefoot, so all babies need a pair of shoes to protect those sweet little feet from harm. 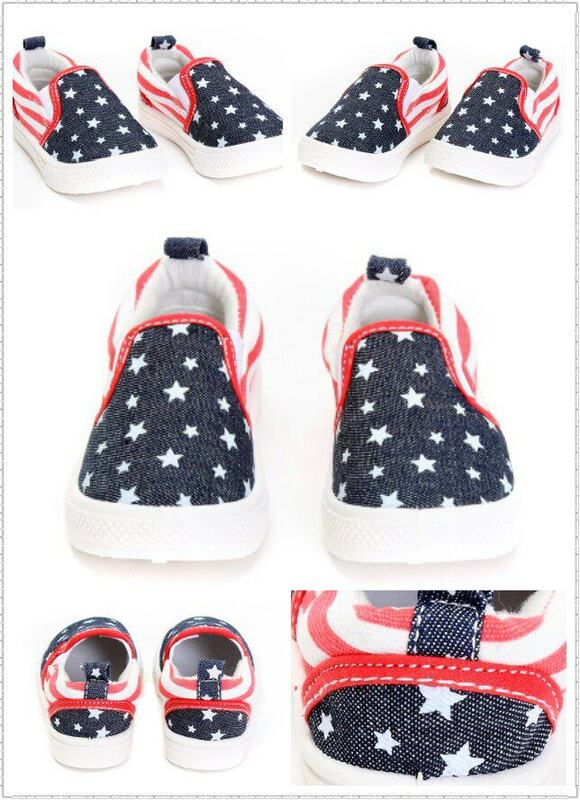 What Kind of Baby Shoes Should I Buy? 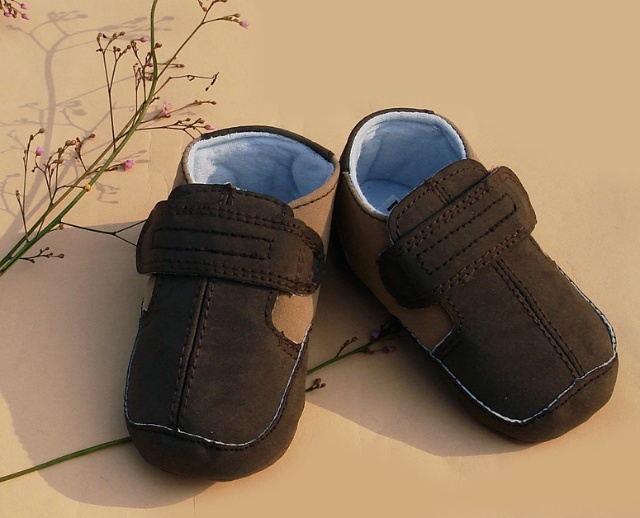 Baby shoes should be soft and flexible so that baby can use his or her feet properly for balance. The bottom should be non-slip and should have plenty of traction, but steer clear of extra-thick soles that might trip baby up. 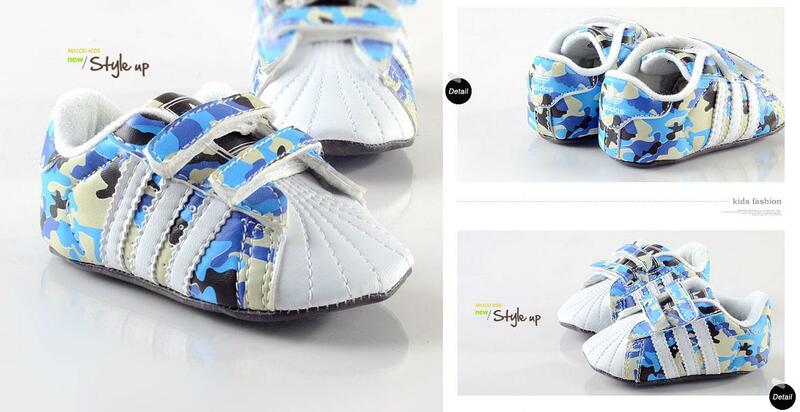 High-top baby shoes aren't necessary for ankle support, but if you do choose high-tops, be sure baby can still wiggle his or her ankles or it may be hard for baby to walk very well. 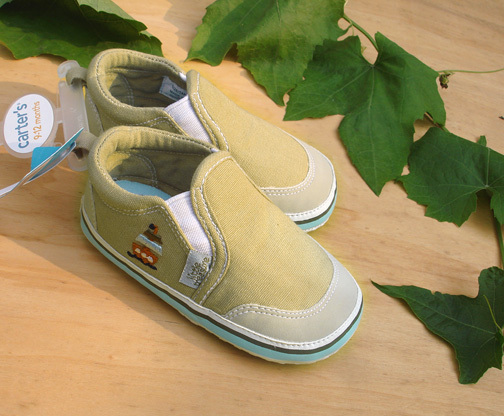 Look for shoes in a breathable material so baby's feet stay cool and comfy. How Should Baby Shoes Fit? Babies should not have to break in their shoes. After your baby has toddled around the store in the new shoes for a while, take the shoes off and check baby's feet for any signs of chafing or pinching. If the shoes rub or seem to make walking difficult, find another pair. You should be able to put your pinky finger in between the heel of the shoe and the baby's foot, and there should be about a thumb-width between baby's toes and the end of the shoe. 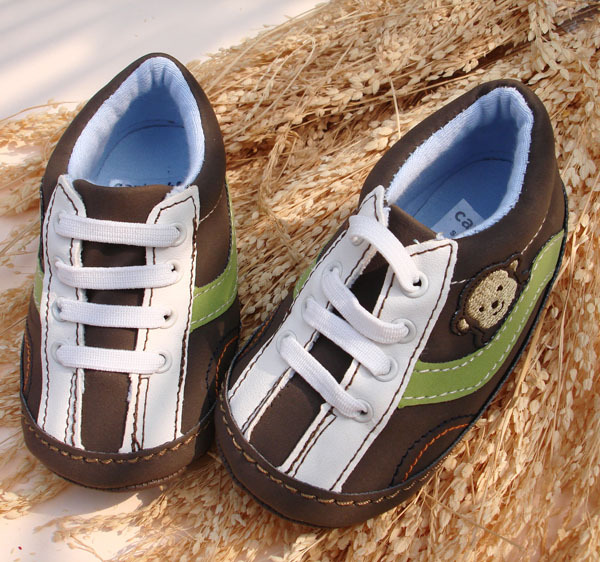 Laces do need to be re-tied a lot, which may send parents in search of Velcro baby shoes. It's a matter of personal choice. 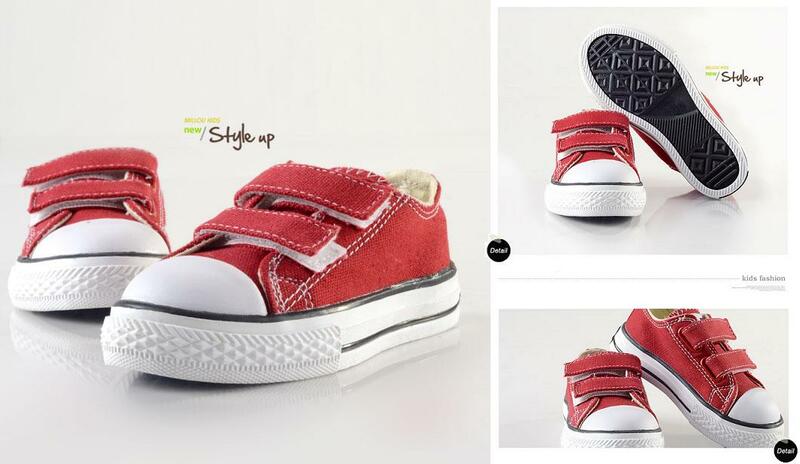 Lace-up shoes are harder for babies to take off. 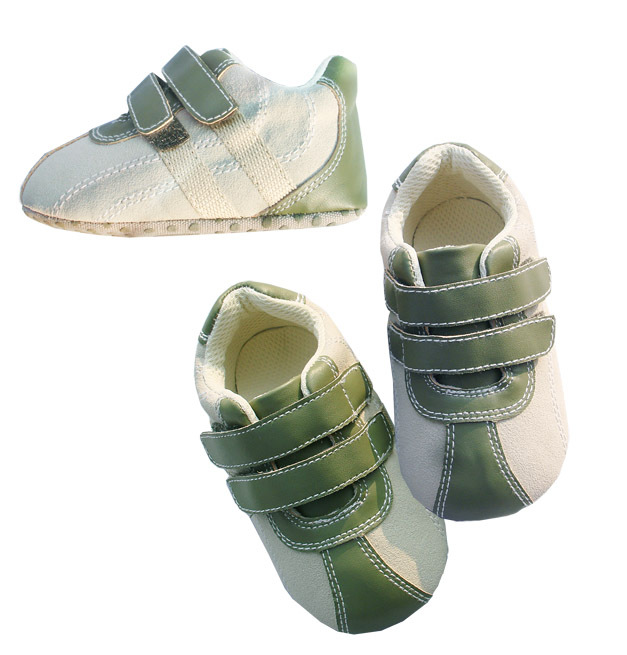 Velcro is easier to figure out for the young mind, so be prepared for baby to learn to remove Velcro shoes fairly quickly. Try tying the shoe laces a few times in the store. You'll be tying and re-tying these shoes a lot, so be sure the laces are long enough and easy to work with. 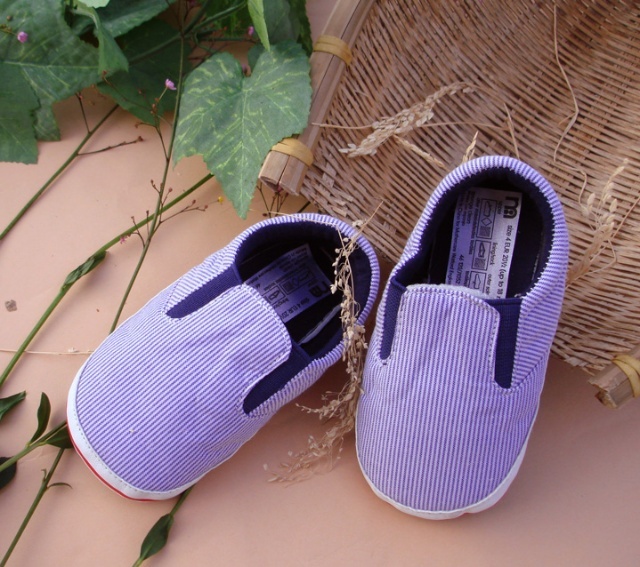 If you choose a slip-on shoe for baby, put the shoe on a few times in the store to be sure it slips on easily for dressing but doesn't fall off when baby walks. Just like adults, babies' feet can sometimes swell towards the end of a hard day. Shopping for baby's walking shoes later in the day will ensure the shoes are not too tight when baby's tootsies are tired. Plan your shopping trip for after a nap or at a time when your baby is normally in a good mood. Getting a cranky, tired baby to walk around and model shoes won't make for a pleasant trip. How Often Should I Buy Shoes? Check the fit of your baby's shoes at least once a month. 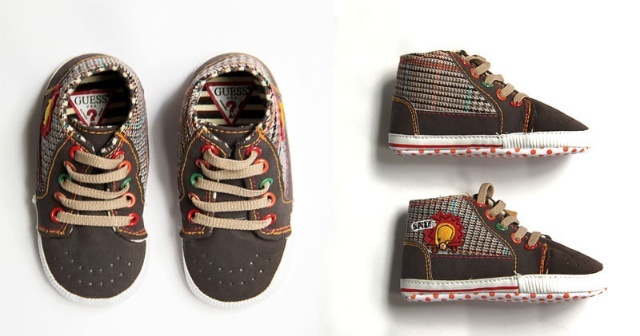 All babies grow at different rates, but you can expect to buy shoes in bigger sizes at least every three to six months. Some babies, like my daughter, will require bigger shoes almost monthly. Check for signs of wear on the shoes and be ready to replace them if the bottoms crack or if there are holes in top or sides. 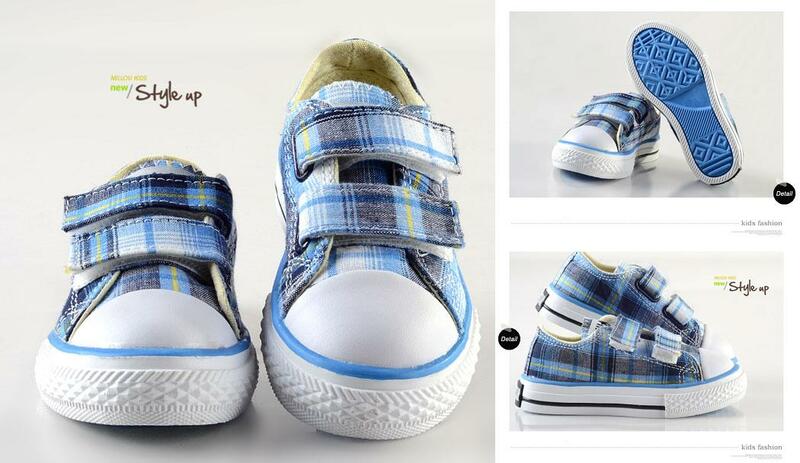 Babies and toddlers will find plenty of things to trip over, so be sure their shoes aren't part of the problem!